Here is the second auction from DeKadent DesignZ. 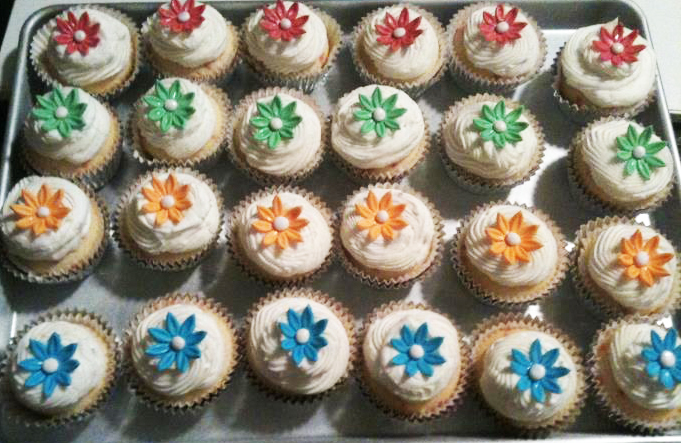 The winner of this auction will receive ONE DOZEN cupcakes, customized to their liking. THIS ITEM IS VALUED AT $12.00. BIDDING BEGINS AT $5.00 AND SHOULD INCREASE BY A MINIMUM OF $1.00 WITH EACH BID.